In 2016, German premium and luxury brands Mercedes Benz, BMW, Audi and Porsche had record sales globally and in China while VW started to recover. Mercedes Benz and BMW had the sixth consecutive year or growth with both German luxury carmakers selling over two million cars in a year for the first time in 2016. The Volkswagen Group increased worldwide car deliveries to 10.3 million cars making it probably the world’s largest car manufacturer. The Volkswagen brand increased sales worldwide in 2016 by 2.8% largely due to strong growth in China – VW struggled in Europe and the Americas. **BMW figures for China includes Mini. Statistics and definitions as per individual car manufacturers. Statistics and definitions as per individual car manufacturers. According to the VDA, 5,743,400 (+1%) cars were produced in Germany in 2016 of which 4,415,300 were exported. Mercedes Benz increased global deliveries by 11.3% to 2,083,888 cars – the highest number ever and the first time deliveries exceeded two million cars. Mercedes sales increased twice as fast as BMW allowing Mercedes Benz to claim leading premium brand worldwide in 2016. December 2016 was the strongest December ever for Mercedes Benz, the 46th consecutive month of growth, the final quarter of the year the best quarter ever and 2016 the sixth consecutive record year for worldwide sales. In China, Mercedes Benz sales increased in 2016 by more than a quarter to 472,844 cars. In China, Mercedes Benz sales were still around 44,000 cars behind BMW and 120,000 behind Audi but as recent as 2014 the gap was 170,000 and 300,000. In the USA, still the second largest country market for Mercedes Benz, sales were down by 0.8% to 340,237 deliveries – slightly better than the broader market. 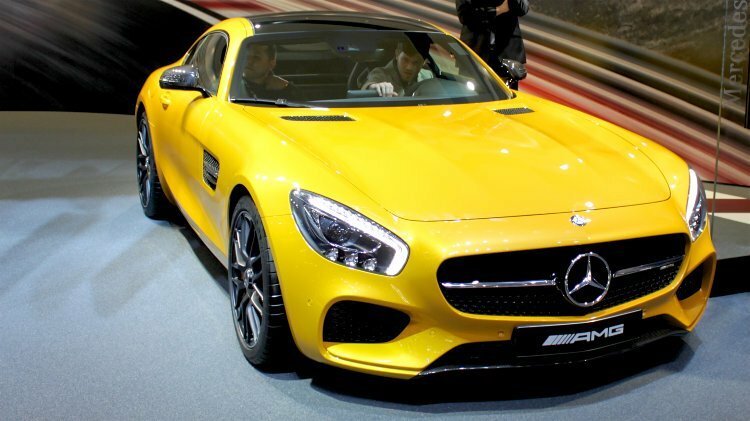 In Germany, sales were up 7.2% to 293,209 cars and in Europe as a while 12.4% to 898,234 cars. In 2016, Mercedes-Benz claimed to have been the best-selling premium brand in amongst others Germany, Italy, Portugal, Japan, South Korea, Australia, Taiwan, the USA and Canada. Smart cars also had its best year ever in 2016 with worldwide deliveries up 21% to 144,479 cars. In 2016, BMW broke its annual sales record for the sixth consecutive year with new records both worldwide and in China. Worldwide, in 2016, the BMW Group sold 2,367,603 cars (+5.3%) comprising of BMW – 2,003,359 (+5.2%), Mini – 360,233 (+6.4) and Rolls Royce Cars – 4,011 (+6%). 2016 was the first year ever that more than two million BMW branded cars were delivered in a single calendar year. 2016 was also a new record for Mini and the second best year ever for Rolls Royce. In China, by far the most important single-country market for BMW, the half million mark was exceeded for the first time ever in 2016. In China, BMW and Mini sales increased by 11.3% to 516,355 cars. BMW benefited from the popularity of SUV and crossover models worldwide. A third of all BMWs sold in 2016 was X models – an increase of 22.3%. BMW also delivered a new record 62,000 electric cars worldwide in 2016. The 100,000th electric BMW ever were sold in November 2016 and more electric models, including a 5 Series and Mini, are due to be launched in 2017. In 2016, the Volkswagen Group had its best year ever and probably overtook Toyota to become the largest car manufacturing group in the world. Volkswagen Group sales worldwide in 2016 increased by 3.8% to 10,312,400 cars with sales in China up 12.2% to 3,982,200 cars. The Volkswagen Group had a challenging start to the year with the emission scandal still hindering the group in especially the USA and Europe – in Germany VW lost market share in a growing market. However, sales in China recovered strongly to add 430,000 more cars. In South America, sales were down by a quarter with sales in Brazil down by a third. All the main brands in the Volkswagen Group managed to increase sales worldwide in 2016 including Volkswagen Passenger Cars (+2.8%), Audi (+3.8%), Skoda (+6.8%), Seat (+2.8%), Porsche (+5.6%) and Volkswagen Commercial Vehicles (+11.4%). Despite a difficult start to the year, Volkswagen Passenger Cars brand ended 2016 with a 2.8% increase in worldwide deliveries to 5,987,800 but still below the record 6,120,000 cars delivered in 2014. Volkswagen’s recovery in 2016 was largely due to a strong increase in sales in China – up 14% to 2,999,300 cars, or 370,000 more cars than a year ago. In other parts of the world, Volkswagen mostly struggled. In the very important European market, VW sales were down 0.9% to 1,697,700 cars. In Germany, VW deliveries shrunk by 7.2% to 557,800 cars and market share was down nearly 2%. In the Americas, Volkswagen continued to struggle. In the USA, VW sales were down 7.6% in 2016 to 322,900 cars. In South America, sales were down 27% to 335,400 including Brazil where sales were down another 35% to only 218,200 cars. Audi had a new record year in 2016 with its highest sales globally ever as well as in China. Worldwide, Audi deliveries increased in 2016 by 3.8% to 1,871,350 cars. After a negative year in 2015, Audi sales in China increased in 2016 by 3.6% to a new record 591,554 cars. Although Audi remained the leading German luxury car marque in China, the advantage over BMW and Mercedes Benz continued to shrink. Audi deliveries increased in almost all parts of the world in 2016 including Europe (+7.6% to 860,600 cars), Germany (+8.6% to 293,307 cars) and the USA (+4% to 210,213 cars). Porsche had another record year in 2016 with worldwide deliveries up near 6% to 237,778 cars and sales in China at a new record 65,246 cars (+12%). In the USA, Porsche sales increased by 5% to 54,280 deliveries. The top-selling Porsche model worldwide was the Macan with 95,642 deliveries (+19%). Sales of the iconic 911 increased by 2% to 32,409 cars worldwide.